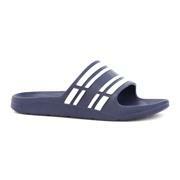 Practical – kickback and relax with our fuss-free men’s flip flops, which are easy to slip on and available in several styles. 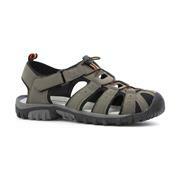 Versatile – indulge your adventurous side with a pair of men’s sport sandals, ideal for a range of activities. 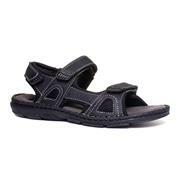 Stylish – slip into our trendy men’s toe post sandals at a moment’s notice, blending comfort and style. 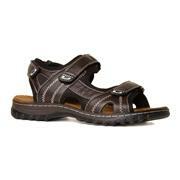 With so many men’s sandals available at cheap prices, you’ll be ready for the ultimate summer of fun from the get-go. 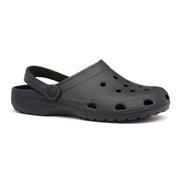 Plus, enjoy our free delivery on all footwear. 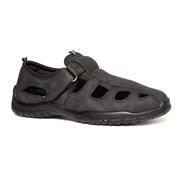 Browse the complete men’s footwear range for more options. 71 products from £6.99 to £54.99. 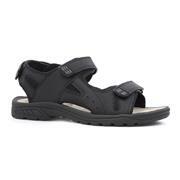 A pair of men’s sandals will be just the thing to prepare your feet for summer. 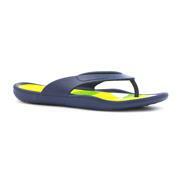 They’re all lightweight, breathable, and they’re sure to look the part on the beach – or beside the swimming pool. 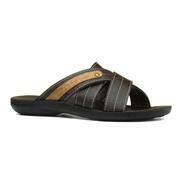 The sandals here come in several different colours and styles, including toe post, sliders and strap designs. 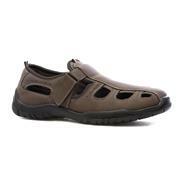 If you’re looking for a pair of mens flip flops to take with you on holiday, then our selection of leather mule sandals and rubber designs will surely be suitable. What’s more, they’ll be able to slip easily into your hand-luggage alongside your swimwear and poolside reading material. 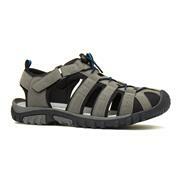 If, on the other hand, you’re looking for a more substantial sandal, then why not look at our sports sandal styles? They’ll be able to withstand a long run on the sand – or a long search for a decent restaurant on the cobbled streets of a small Mediterranean town! 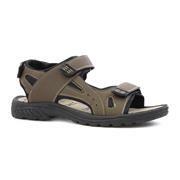 However casual or rugged you’d prefer your men’s sandals to be, we’ve got a pair to suit your taste. Like all of the cheap men's shoes we sell, our sandals are high-quality – but they don’t cost the earth either so you can find your perfect pair. Delivery is free, so you can find your perfect pair.